We will be looking at collapse pits for the next two weeks. 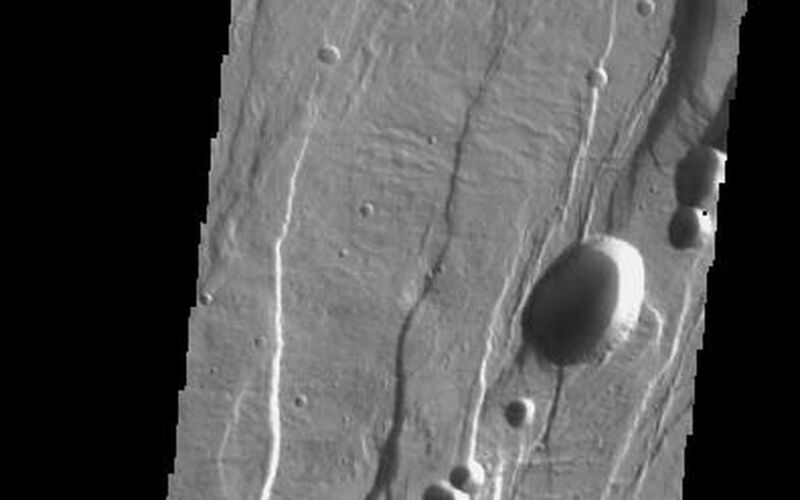 Collapse pits on Mars are formed in several ways. In volcanic areas, channelized lava flows can form roofs which insulate the flowing lava. 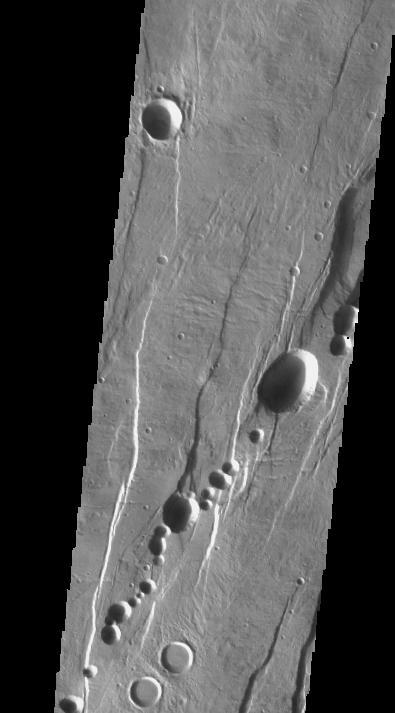 These features are termed lava tubes on Earth and are common features in basaltic flows. After the lava has drained, parts of the roof of the tube will collapse under its own weight. These collapse pits will only be as deep as the bottom of the original lava tube. Another type of collapse feature associated with volcanic areas arises when very large eruptions completely evacuate the magma chamber beneath the volcano. The weight of the volcano will cause the entire edifice to subside into the void space below it. Structural features including fractures and graben will form during the subsidence. 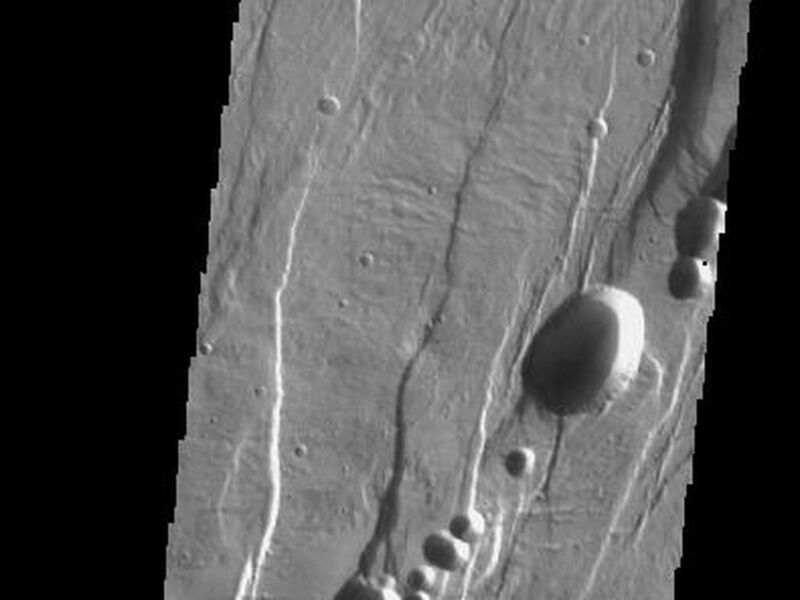 Many times collapse pits will form within the graben. In addition to volcanic collapse pits, Mars has many collapse pits formed when volatiles (such as subsurface ice) are released from the surface layers. As the volatiles leave, the weight of the surrounding rock causes collapse pits to form. These collapse pits are found within graben surrounding Alba Patera. Alba Patera is an old volcano that has subsided after its magma chamber was evacuated. Image information: VIS instrument. Latitude 43.1, Longitude 259.4 East (100.6 West). 19 meter/pixel resolution.